Stanley Freeman Druckenmiller - Pittsburghs Beautiful People! This Pittsburgh born hedge fund manager is the son of a chemical engineer father and a mother a he says had a brain for stocks and investments. He attended Bowdoin College, where he ran and friend Larry Lindsey, former economic policy adviser to President Bush, together a hot dog stand in his spare time to make extra cash. Druckenmiller gained a Bachelor Arts in English and Economics and from here e commenced a PhD at the University of Michigan, but dropped out to work as an oil analyst for Pittsburgh National Bank. In 1976, Druckenmiller married his college sweetheart in Pittsburgh, and at the same time enjoyed meteoritic success through the ranks at Pittsburgh National Bank. In 1980, the same year he and his first wife divorced, Druckenmiller, left Pittsburgh National Bank, and in 1981 started up his own capital investment fund, Duquesne Capital Management with $1 million. Druckenmiller is a known as an intensely private person who likes to keep his family out of the media. He is married to Fiona Biggs, his second marriage, who he met when they both worked for Pittsburgh National Bank. The couple now have three daughters. Druckenmiller continued his career as a stock analyst in New York, working for large investment houses Dreyfus House and moving to Soros Fund Management where, in 1992, he and George Soros infamously break the Bank of England in 1992, allegedly making $1billion by shorting the British Pound. He continued to manage funds for Soros until the early 2000s, however now Druckenmiller currently manages his highly successful Duquesne fund full-time. In the aftermath of 9/11, Druckenmiller, who was giving his time up to help a friend whose business was decimated by the attacks, not only gave offered free advice and assistance, personally established a fund for the children and widows of the traders who died, and voluntarily sat on an advisory committee to assist the business through it’s long recovery. 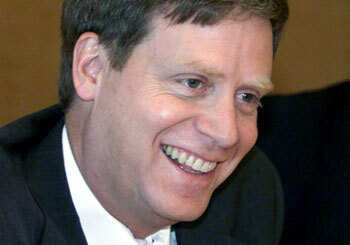 Druckenmiller is known as a hands-on worker, and an intensely private person and also giving and generous man. While there are no charitable funds, buildings, or hospitals in his name, the huge extend of his philanthropy should not be underestimated. With an estimated wealth of about $800 million dollars, it might not be a surprise that rumors are Druckenmiller gave more money to charity in 2009 than any other American individual. It is estimated that in 2009 alone, Druckenmiller donated a huge $705 million dollars to charitable foundations that support causes such as anti-poverty, education and medical research. Charitable donations by Druckenmiller include generous funding to Bowdoin College, the Hamptons Shakespeare Festival, The New York Stem Cell Foundation; Rice High School in Harlem, the Spence School in Manhattan, and the Institute of International Education. As well as these donations, in 1997 Druckenmiller built The Stanley F. Druckenmiller Hall at Bowdoin College (named after his grandfather). A usually publicity shy Druckenmiller personally attended the dedication. Druckenmiller is also a major donor to New York University, donating $45 million to the NYU Medical Center in 2008. Both Druckenmiller and his wife are principal sponsors of the New York City AIDS walk. Druckenmiller sits on various boards for causes meaningful to him. These include the Jones’s Robin Hood Foundation, the Children’s Scholarship Fund, Memorial Sloan Kettering and Harlem Children’s Zone (he is Chairman of the Board). In 2006, he donated $25 million dollars to Harlem Children’s Zone, a community based project founded by his college friend. So what do we find so inspiring about Druckenmiller? We love that this very private, very success man shares his hard earned wealth, and time, so generously in the community. A true embodiment of the Carnegie spirit, Druckenmiller’s willingness to share his knowledge and time, plus his extremely generous philanthropy as in the Pittsburgh way.